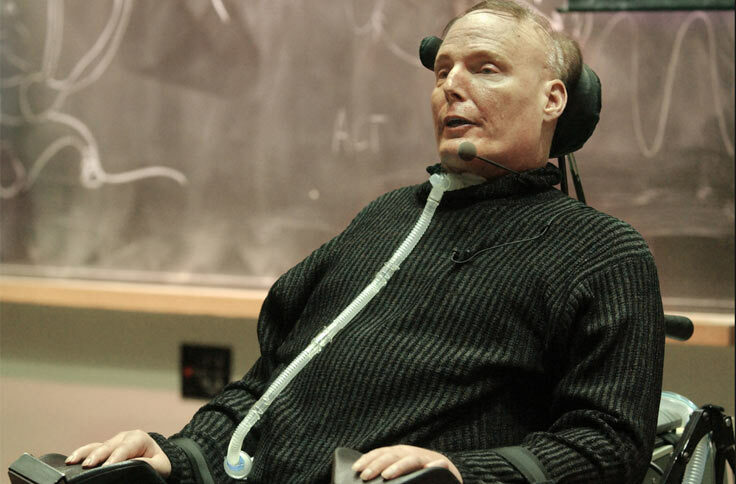 After a fall from a horse caused a spinal cord injury, Christopher Reeve dedicated his life to advocacy and research. Find out more about his amazing story. As a young man, Reeve had played a few roles, but his big break came when he got a call to audition for the role of Superman. The director and producers of the movie had actually been searching for the right actor to play the role for three years without any luck! They eventually offered the part to Reeve only 35 days before filming was due to begin. At first, Reeve didn’t think he had much of a chance of landing the part – even though he was 6 ft 4’ tall (193 cm), he feared he would be too skinny! Producers suggested he wear fake muscles under the suit but he refused! He instead started an intense two-month training program which added 14 kg to his 86 kg frame. Because he worked out continuously throughout the filming, they even had to reshoot earlier scenes as they didn’t match the later shots! 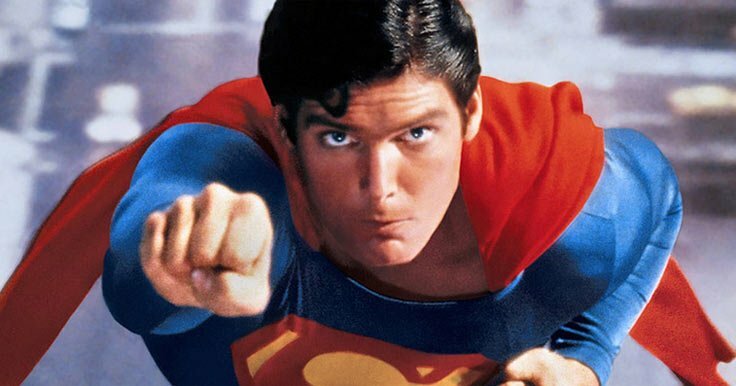 When the first Superman movie came out, Reeve was an instant megastar! Not wanting to miss out on his star power, the studios had him return to the role again three times! On May 27 1995, Reeve’s world changed. Reeve was an accomplished horseman and that day he was taking part in an equestrian competition. Riding his horse, Buck, they jumped the first two fences in the course and were riding up to the third. For some reason when they got to the fence, the horse refused to jump and suddenly stopped. Reeve was thrown from the horse. His hands somehow got tangled in the reins, and he landed head first on the far side of the fence. The impact smashed the two upper vertebrae in his spine, which meant that his skull and spine were no longer connected. This is what some doctors refer to as a hangman’s fracture (sometimes causing death through suffocation). Reeve remained in intensive care for five weeks as he fought through several life-threatening complications. When he recovered, doctors told him his injury had caused paralysis from the shoulders down. He would no longer feel sensation in 90% of his body and he could no longer breathe on his own and would need to use a ventilator. After his accident, Reeve was preparing to have an operation which would reattach his skull to his spine – an operation so risky that it only had a 50% chance of survival. This of course was a very hard time for Reeve as the weight of the operation played on his mind. 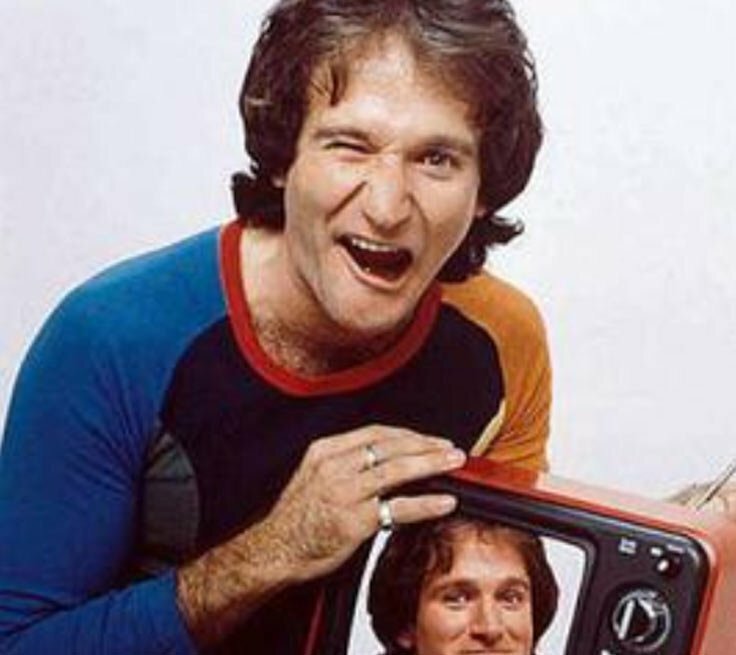 He later revealed the person who got him through this moment – his close friend, Robin Williams. ‘I lay on my back, frozen, unable to avoid thinking the darkest thoughts,’ said Reeve. Williams was reprising the character he played in the movie Nine Months. Williams and Reeve had a long and close friendship. They met at New York’s Julliard School for drama, where they were the only two students to make it into the advanced program. After Reeve’s passing, Williams dedicated his award at the Golden Globes to his old friend. “Chris Reeve, I miss you. May flights of angels sing thee to thy rest, sweet prince,” he said. Throughout his life, Reeve spoke publicly about his wish to walk again by his 50th birthday. This claim was not always well received by doctors, scientists and disability advocates as they said it raised false hopes for others who had spinal cord injuries. This is because when most body parts get injured, they’re able to regenerate – but this isn’t the case for the spinal cord. Even so, Reeve did make some surprising progress. 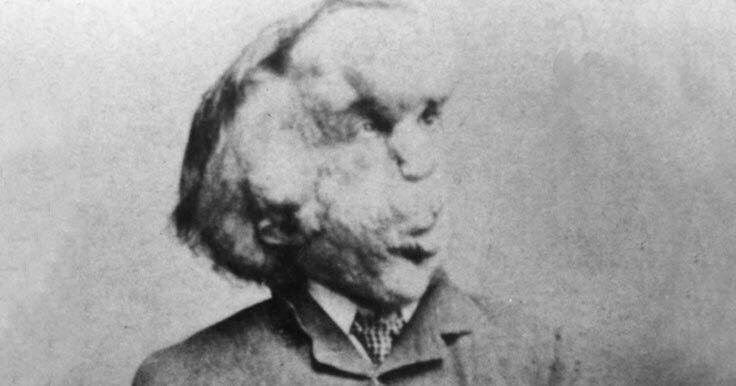 Some five to seven years after his accident and through trialing different treatments, he began to see slight but remarkable changes. While he never achieved his goal of walking again, he did regain some movement in his fingers and toes, could feel a pin prick anywhere on his body, and tell the difference between hot and cold temperatures. After his accident, Reeve became America’s leading advocate for spinal cord injury research. He also worked tirelessly to promote medical advances, especially for controversial stem cell research. 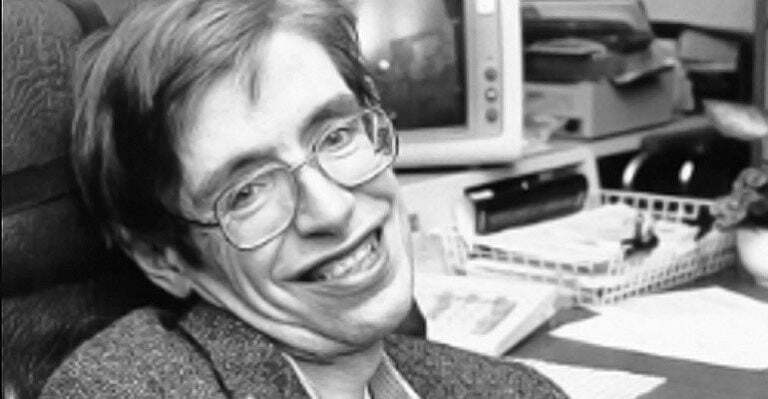 His hope was that one day they would find a cure for paralysis and other illnesses, such as diabetes, Alzheimer’s and Parkinson’s disease. One of his many legacies is the Christopher Reeve Paralysis Foundation, which has raised tens of millions of dollars for research. He also opened the Christopher and Dana Reeve Paralysis Resource Center, which is devoted to teaching people with paralysis to live more independently. While his dream of being able to heal paralysis is not a reality yet, you never know what the future holds. We don’t believe in curses, but the Superman curse is a famous one. 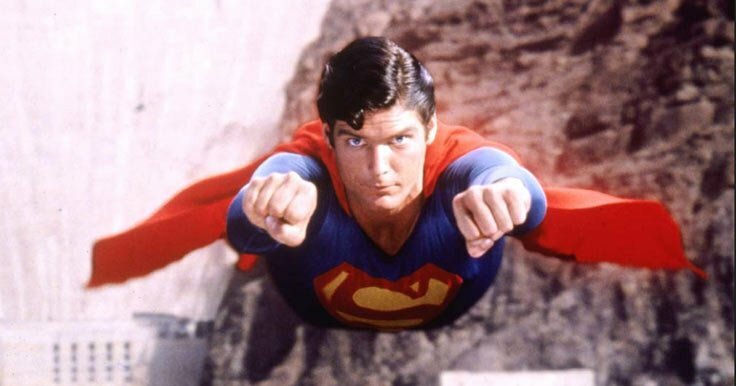 Conspiracy theorists believe a curse caused several actors who have played the role of Superman to die in unexpected ways, be in accidents, or experience misfortune. It is said the curse is now so famous, producers actually find it hard to cast actors in Superman roles! Christopher Reeve’s life is a big part of this conspiracy theory, but so too is George Reeves (pictured but no relation to Christopher). 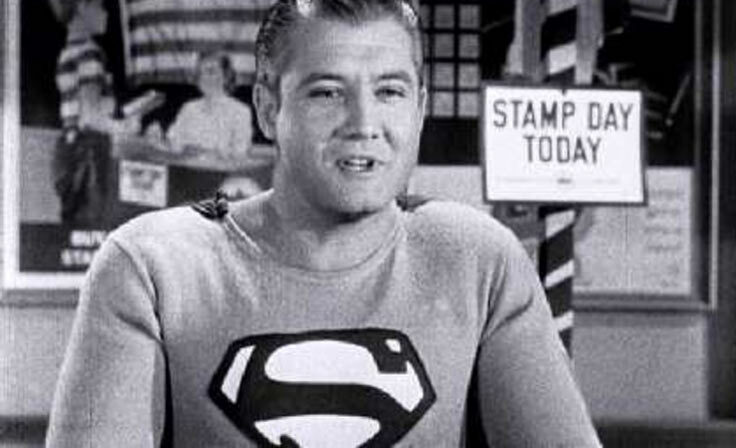 George Reeves played the Man of Steel on TV, but days before he was to be married, he died from a gunshot wound. The death was ruled a suicide, but controversy surrounds his death. Other people involved in the films have also apparently been ‘victims’ of the curse including stagehands, relatives, and co-stars. There were even reports that Kate Bosworth, who played Lois Lane in a recent film, blamed the curse for her break-up with Orlando Bloom! The logical explanation is that of course accidents happen. As the Superman story has been around for many years, you would expect to see a number of misfortunes during this time, and it has actually been shown the level of misfortune is the same as you would see in a random selection of people! In early October 2004, Reeve was being treated for an infected pressure sore, a common complication for people with a spinal cord injury. On October 10th, he was given an antibiotic to treat the infection, but that night went into cardiac arrest. He fell into a coma, and 18 hours later, passed away at the aged of 52. His wife, Dana, headed the Christopher Reeve Foundation after his death. Although a non-smoker, she was diagnosed with lung cancer in 2005 and died at age 44 on 6 March 2006. Their son, who had sadly lost both parents by the age of 13, now sits on the Board of Directors for the Christopher and Dana Reeve Foundation, along with Reeve’s other two children from a former relationship.